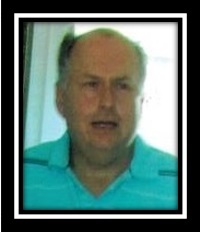 Robert A. Kramer Jr., 59, of Blandon, passed away suddenly on Friday, November 23, 2018, at his home. Born October 18, 1959 in West Reading, he was the son of the late Irene J. (Shearer) and Robert A. Kramer Sr.
Robert spent many years working in retail sales and in management, first at John Wannamakers, then continuing at Bonton and Boscov’s. He most recently was working in the clubhouse at Pleasant Hills Golf Course, Fleetwood. Robert was a 1977 graduate of Fleetwood High School and went on to attend Penn State University and Kutztown University. He loved golfing and especially his furry kitties, Tabby Lou and Cuddle Sue. Robert is survived by his sister, Mary L. (Kramer) Beard, wife of Terry L. Beard, Muhlenberg Township, his nieces, Cynthia A. (Beard) Borelli, wife of Giuseppe D. Borrelli, Spring Township and Wendy L. Beard, wife of Duane M. Feeg, S. Heidelberg Township, and his great nephews, Anthony, Nicholas, Caleb, Logan and Haden. He is also survived by his Aunt Dorothy (Shearer) Wesner, wife of Charles Wesner, Hamburg, his Uncle Daniel Shearer, husband of Joan (Kneller) Shearer, Flagstaff, AZ and his Uncle George Seidel, widower of Emma (Shearer) Seidel, Blandon. Funeral Services for Robert will be held on Friday, November 30, 2018 at 11:00 am at Walbert Funeral Home & Cremation Services, PC, 14390 Kutztown Road, Fleetwood, with the Rev. Sara Hertzog officiating. Burial will follow in Maidencreek Cemetery, Blandon. A viewing will be held Friday from 10:00 to 11:00 am at the funeral home. In lieu of flowers, contributions may be made to One to One Cat Rescue, PO Box 272, Temple, PA 19560. Walbert Funeral Home & Cremation Services, PC, Fleetwood, is honored to be caring for Robert and his family at this very difficult time. Online condolences may be offered at WalbertFuneralHome.com.